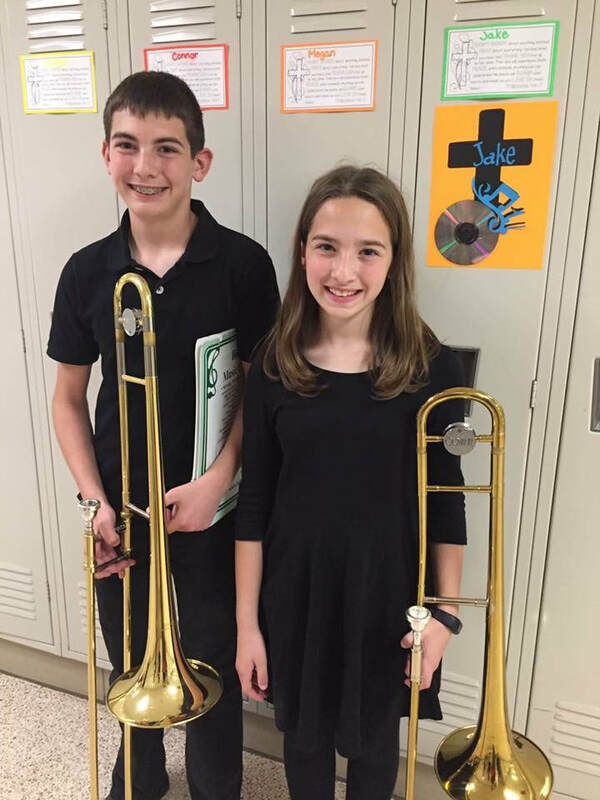 Students attending St. Michael's Lutheran School in the 5th grade are required to take beginning band. Following their initial year, students in grades 6th-8th may participate in band as an optional elective (strongly encouraged). Through weekly rehearsals, students are the given the opportunity to explore the world of music through individual, small group, and full ensemble settings. We believe that every student should have an opportunity to create and respond to music. Music study involves and develops perceptual, creative, cognitive, affective, and psychomotor learning. Studies show music training in young children helps to trigger higher brain functions. The study of music has a positive effect on the students’ self-development, task completion ability, group dynamics, and improves their learning abilities in the areas of language arts, mathematics, and reading. Research has shown that students who took more than four years of music instruction scored higher on the verbal and math standardized achievements tests. Therefore, we believe music plays an important role in the educational program of St. Michael’s Lutheran School. As a result of our pursuit in the fine arts, specifically instrumental, we realize that having a student(s) can be a trying time and can have some financial ramifications. We do work in cooperation with Herter's Music Center out of Bay City, MI in terms of purchases, rentals, supplies, and repairs. 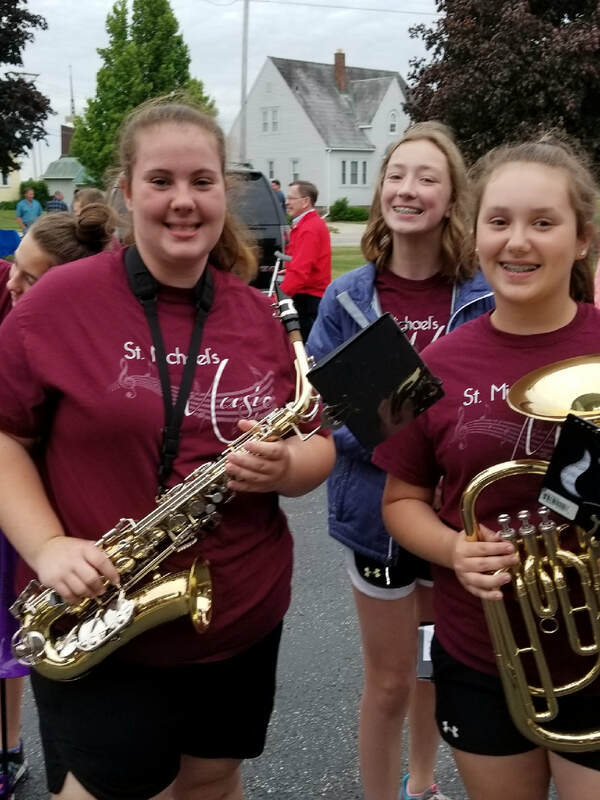 In addition, the Music Department at St. Michael's does offer an Instrument Rental program which is available on an as needed and available status. Please call our school office or Director of Music for questions on this. Parents and students sign a rental agreement and are responsible for any damages, including the full cost of repairs, not incurred through normal use of the instrument. During the school year, minor repairs can be made at school or sent out/returned on a weekly basis through our "service" technician. As a whole, we will do everything we can to help you as the parent and student be successful in this area. Here at St. Michael's Lutheran School, we begin our band program in 5th grade. Prior to this, students learn music fundamentals throughout the K-4th grades including recorders during their 4th grade year. The first year of band can be overwhelming, challenging, and even comes with a few tears. That being said, St. Michael's provides a positive, encouraging, and welcoming environment for new band students. Students in the band program have rehearsals several times during the week, during the school day, in which they learn the basics of their instruments. They are exposed to individual, small group, and large ensemble settings. 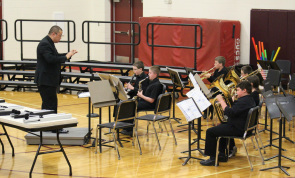 The band uses standard repertoire, including its technique curriculum and performance pieces, as noted by the National Association for Music Education along with regional, state, and district standards. The band is under the direction of Mr. Charles Chaveriat. Following the initial year of instrumental learning, students in grades 6th-8th may choose to continue band participation and are combined into one large concert band. These students continue to practice and solidify their knowledge of fundamentals in music both technically and in performance. The students are exposed to a wide range of music throughout their time in this ensemble as it is considered part of their education while at St. Michael's. This ensemble rehearses several times throughout the week as part of the school day. 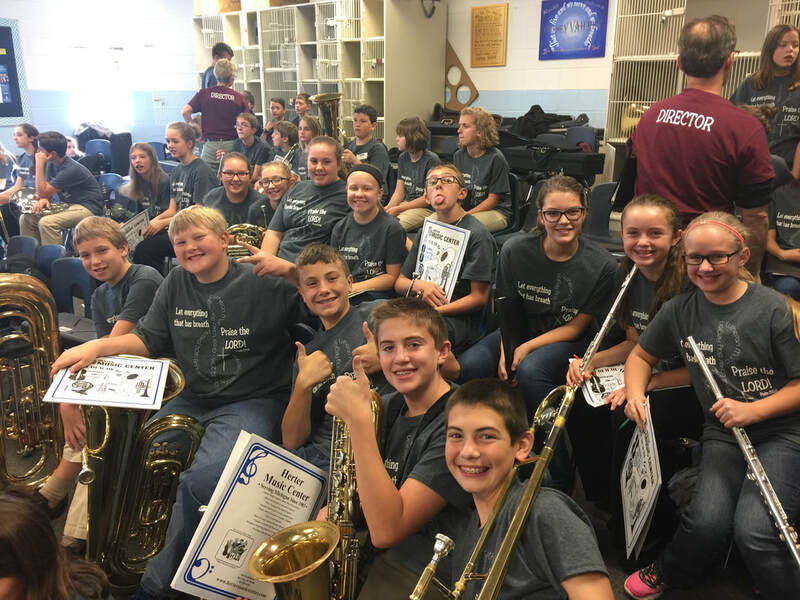 Students are given the opportunity for individual, small group, and large ensemble settings throughout the year as they continue to learn and grow on their instruments. This band does participate in the Lutheran Schools Music Festival - Bay/Thumb Division held each year and has received high marks for their performance, technique, and professionalism. The band is under the direction of Mr. Charles Chaveriat. St. Michael's Lutheran School offers a Hand Chimes Ensemble as an extra-curricular group. Meeting during the school day (lunch/recess) period, twice a week, this group assists with worship several times throughout the year as well as play in our surrounding communities. They play a variety of music throughout the year as different seasons come and go and based upon the experience level of those in the group. The group is made up students who volunteer their time and who enjoy playing. It is preferred that students in grades 6th-8th participate in this however, it is open to any student in the middle school grades. 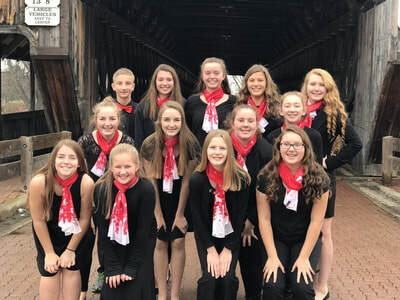 The Hand Chimes Ensembles do participate in the Lutheran Schools Music Festival - Bay/Thumb Division each year and has received high marks in the areas of performance literature, technique, and professionalism. The ensemble is directed by Mr. Charles Chaveriat.